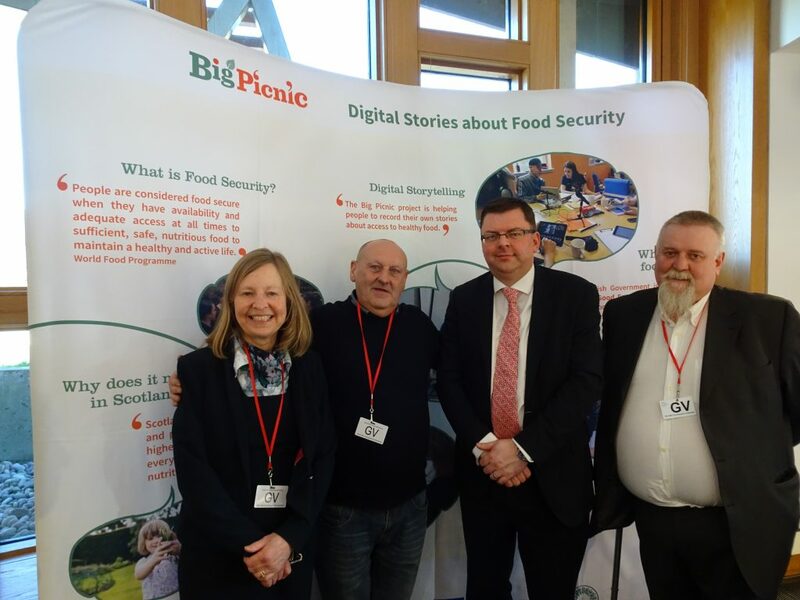 The BigPicnic project, funded by an EU Horizon 2020 grant, has involved 16 botanic gardens working with people to explore the issue of food insecurity with the aim of getting their voices heard by policy-makers. 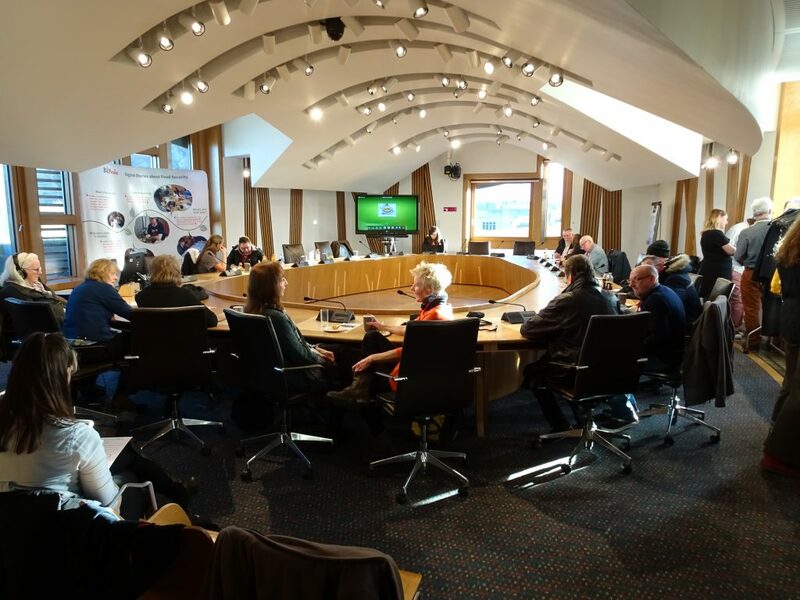 Working with organisations and individuals in Edinburgh and Glasgow the project has been using a video making technique called digital storytelling to enable people to tell their stories. Digital stories are created with user-friendly technology and place emphasis on the story and the quality of the sound recording. Still images illustrate the story, but no actual video footage is necessary. The 19 stories created in this way explore food insecurity from a variety of perspectives and are emotionally powerful and engaging. Wendy Wrieden, Jim Copeland, Colin Smyth MSP and Sean Fitzharris. 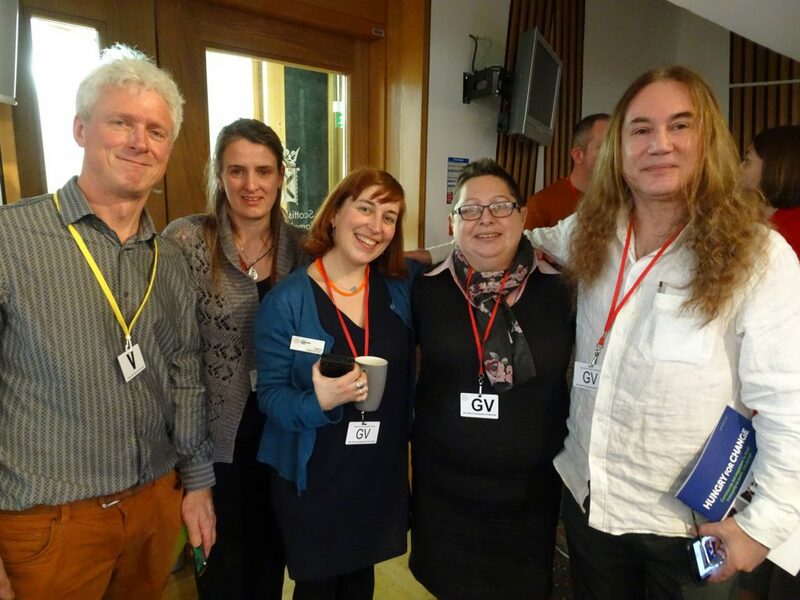 Andy Crofts (RBGE) Penny Donnelly, Sabine Hellmann, Edith Grant and Majid Mokhberi. Committee Room at Parliament where the BigPicnic event was held. Jim Copeland, Peter Wood, Colin Smyth MSP, Willy Hill and Freddy Boyd. 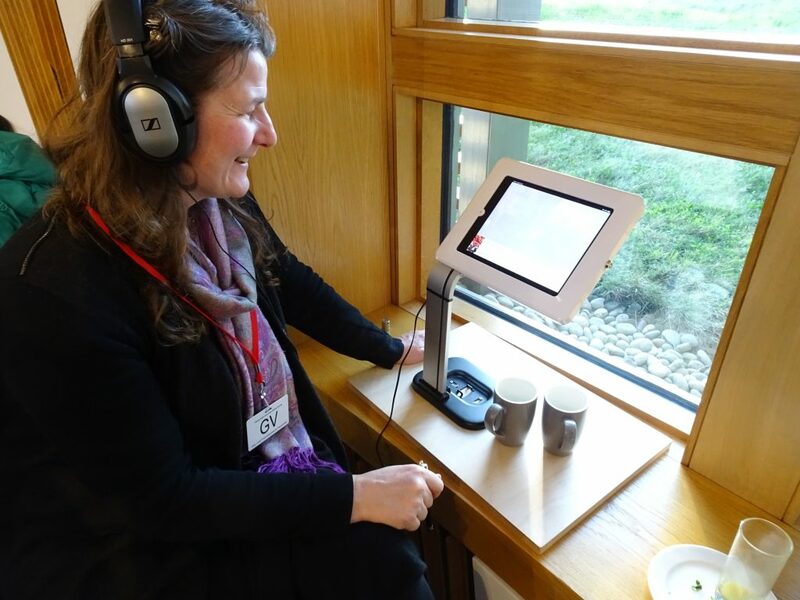 Koren Calder listening to a digital story at the Scottish Parliament. 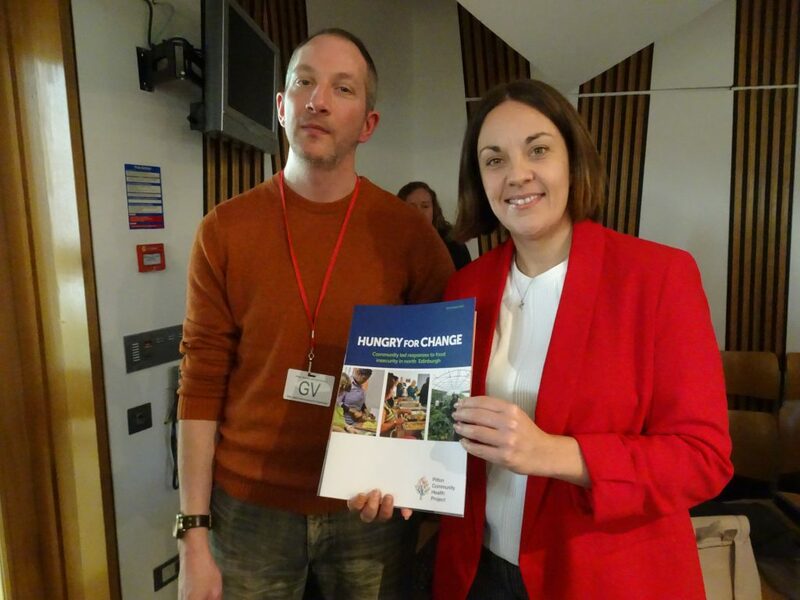 Joe Jones and Kezia Dugdale MSP with the report Hungry for Change written by Pilton Community Health Project. 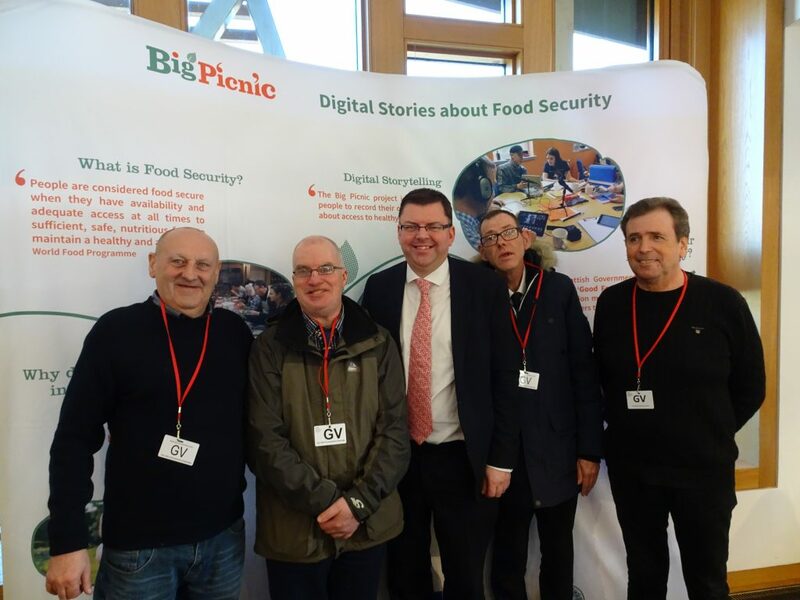 The MSPs who engaged with The People’s Food Stories on 16 January 2019 were: Colin Smyth MSP (Scottish Labour) – Sponsor of the event; Patrick Harvie MSP (Scottish Green Party); Kezia Dugdale MSP (Scottish Labour); Claire Baker MSP (Scottish Labour) Culture, Tourism and External Affairs spokesperson; Michelle Ballantyne MSP (Scottish Conservatives) Communities and Social Security spokesperson; Ivan McKee MSP (Scottish National Party) Minister for Trade Investment and Innovation; Claudia Beamish MSP (Scottish Labour) Environment, Climate Change and Land Reform spokesperson; Alex Rowley MSP (Scottish Labour) Communities and Local Government spokesperson; Kate Fry on behalf of Rhoda Grant MSP (Scottish Labour) Rural Economy spokesperson; Ann Henderson on behalf of Elaine Smith MSP (Scottish Labour) Poverty and Inequality spokesperson; and Caitlin Stott a Rural Economy researcher representing the Scottish Labour Policy Unit.